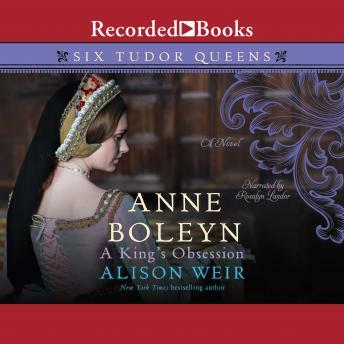 A novel filled with fresh insights into the story of Henry VIII's second-and most infamous-wife, Anne Boleyn. The new book in the epic Six Tudor Queens series, from the acclaimed historian and bestselling author of Katherine of Aragon. It is the spring of 1527. Henry VIII has come to Hever Castle in Kent to pay court to Anne Boleyn. He is desperate to have her. For this mirror of female perfection he will set aside his Queen and all Cardinal Wolsey's plans for a dynastic French marriage. Anne Boleyn is not so sure. She loathes Wolsey for breaking her betrothal to the Earl of Northumberland's son, Harry Percy, whom she had loved. She does not welcome the King's advances; she knows that she can never give him her heart. But hers is an opportunist family. And whether Anne is willing or not, they will risk it all to see their daughter on the throne.